C-Wing is a single seater custom starship of the rebel alliance. It is the perfect model to complete your star wars saga set. Equipped with two 4L4 fusial thrust engines and four cannons, C-Wing is very agile and it provides aerial support to big ships across different system in the galaxy. C-Wing presents four laser cannons and the wings can be closed allowing the starfighter to land. It is robust and can be easily handled. The building process is modular and actually pretty fun. Put the stickers on the model and it will look more realistic than ever. 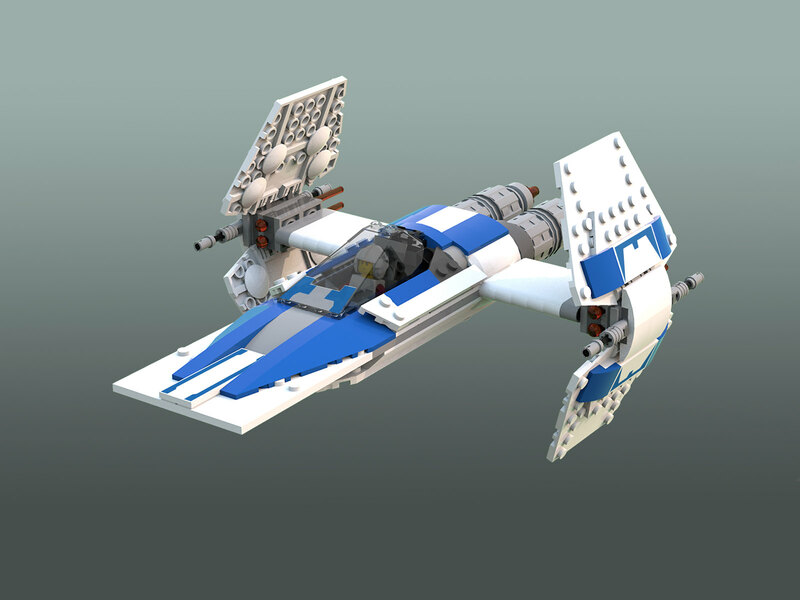 - The .lxf file of the C-WING so you can modify the model using Lego Digital Designer as you wish. The model was designed to be robust enough to be handled. 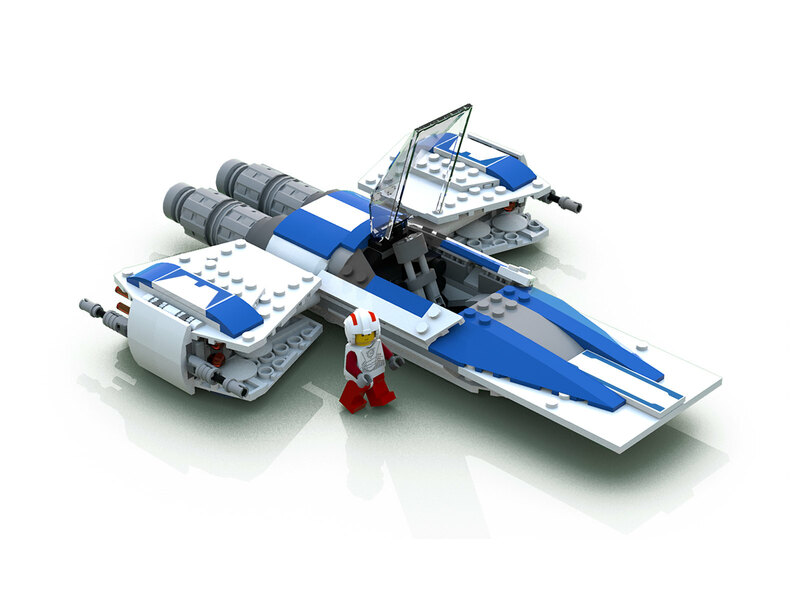 Every piece used is available on Bricklink.